Timeless, sustainable and functional, while creating an inviting atmosphere – design house Engelbrechts aims to create furniture that lasts and brings a pleasant feeling to its environment. It is rather simple: the better the material and design, the better the product. For Engelbrechts, it is all about designing furniture that, with its quality and timeless design, can last for decades. “We aim to distance ourselves from the throwaway culture that we see in today’s society, and one way to do so is to design furniture that lasts for a long time – furniture you want to keep because of its everlasting design and because of the quality of the material,” says Christina Østergaard Nielsen, marketing manager at Engelbrechts. The company was founded in 1989 by Morten Engelbrecht. In the beginning, he sold a variety of high-end products from around the world, before he decided to expand the business concept to include furniture developed by Engelbrechts. This led him to convert Engelbrechts from a Danish furniture retailer into an international design house selling furniture through an exclusive dealer network. “We work closely with our designers, and we try to modernise classic designs. Since 2008, we have collaborated with architect Jørgen Rasmussen, who is well-known for the KEVI office chair that, with its classic design, has been an international success since it was created back in 1958,” says Østergaard Nielsen. In many ways, the KEVI office chair is a good example of what Engelbrechts are capable of. It is iconic with its simple minimalist appearance yet detailed-orientated design, and it has been used all over the world. In fact, many schools and universities in Denmark still use the chair. A few years ago, Engelbrechts and Jørgen Rasmussen renewed the chair by making it four-legged, and this year, they launched a four-legged lounge chair, but with the same recognisable design as the original model. “We have probably all been sitting on this chair at some point in our life, and the new version fits into many kinds of environments. 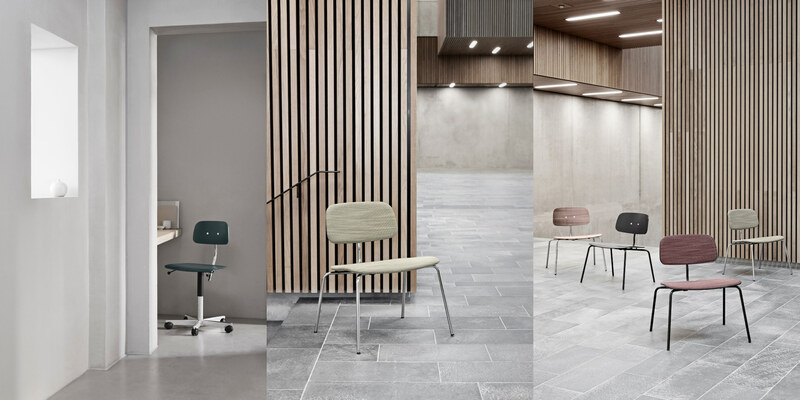 No matter if it’s in a big conference hall, a design office or your own home, the chair simply creates a nice atmosphere, which is what it’s all about – a timeless design you want to keep, and furniture that ages with you,” says Østergaard Nielsen.